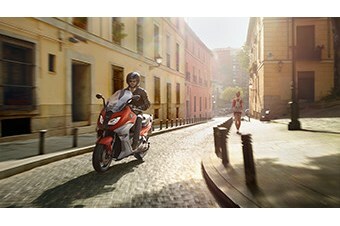 The 650 cc scooter's effortless handling and sporty performance ensure an unparalleled riding sensation. The in-line two-cylinder engine delivers an impressive 46 lb-ft of torque (63 Nm) and 60 hp (44 kW) that will get you to your destination in no time at all. Taking corners and getting through heavy city traffic is now even easier with the optimized, agile chassis and suspension. 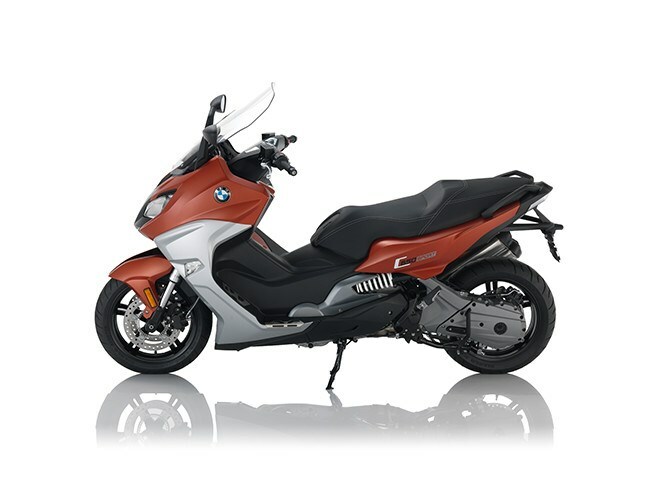 The modern look of the C 650 Sport is eye-catching and emphasizes the scooter's sporty aspirations. A completely redesigned front with fairing panels that sit higher gives the scooter a more sophisticated appearance. New handlebar covers with a high-gloss center section and chrome highlights enhance the visual look. Additionally the new stainless-steel exhaust system not only looks more attractive, it also has a more powerful sound, yet weighs less and has lower noise and exhaust emissions.